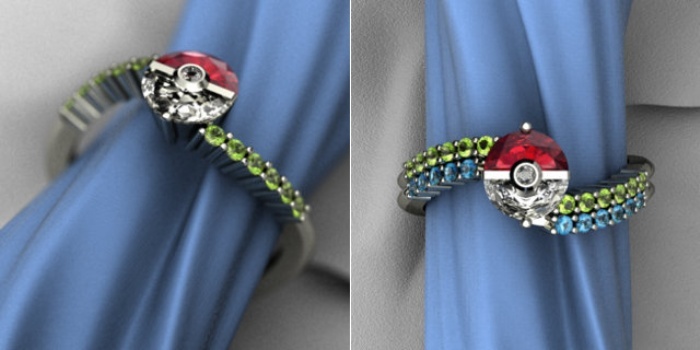 Pokeball Engagement Ring: Gotta Catch the 'One' | OhGizmo! By Hazel Chua on 10/10/13 • Leave a comment! I’m sure there are a number of fitting proposals that would go along great with this Pokeball engagement ring by jeweler Arts & Gems. 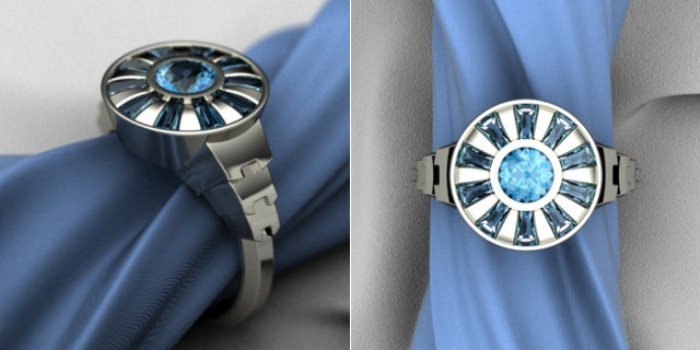 Too bad it’s just a conceptual design, because I’m sure there are a lot of guys out there who would want to catch the “one” with a creative and geeky ring like this. I especially like the twisted shank part, because it injects a fun vibe to the ring that seems in keeping with what it was inspired after in the first place. This isn’t the first time Arts & Gems came up with something like this, as they were also the one behind the TARDIS engagement ring that went viral a year ago. Below you’ll find more designs that are a welcome addition to every geek’s jewelry collection. This one was clearly inspired by Iron Man’s arc reactor. I love how they chose blue stones for this piece. 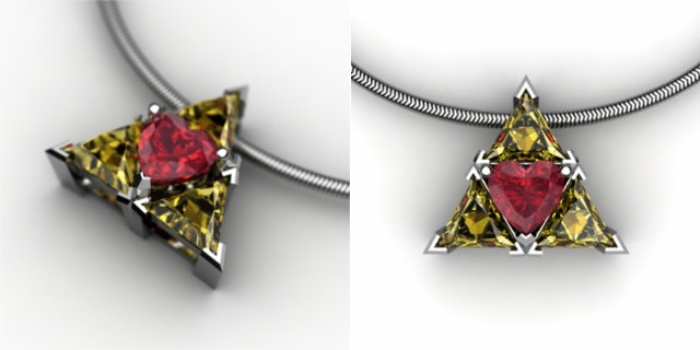 And this one is a Triforce pendant, patterned of course from the Legend of Zelda.